Listen to the Music for Fairy Tower! 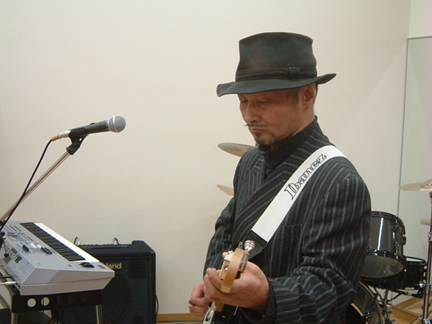 Mr. Ryuichi Sato has been creating music for advertising and game music industry for many years. 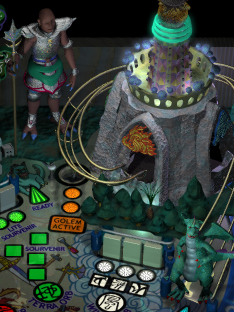 As you may remember, Ryu has created wonderful music and sound effects for our pinball games since we collaborated in Crystal Caliburn. His music often inspires us when creating the graphics. Ryu composed beautiful sound tracks for Fairy Tower; Dwarf Polka, Giant Swing, Iron Grasshopper, We are not so alone, and more. Here is the sample track of Dwarf Polka, the main theme which he kindly provided for the readers of LittleWing web site. Enjoy the happy polka! The image on the left is Fairy Tower. There are four gates; Water Gate, Light Gate, Wind Gate, and Earth Gate. It rotates when a ball goes inside through a gate. On the right, there are three Gargoyles who dwell in a canyon near Tohno Land. 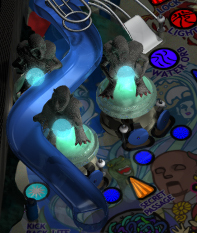 They hold Water Orbs which you shall correct in the play.